"Sure. This sounds like a great idea. Bon appétit. See you in hell." 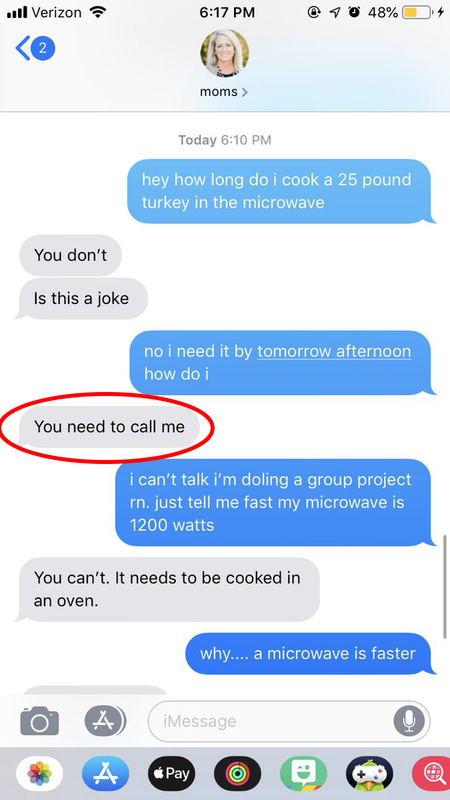 Moms are honestly superheroes: They spend 18 years raising us, and even when we're full-grown adults, they still respond to our texts asking how to do the simplest of tasks. Which is perhaps what makes this prank so darn funny. 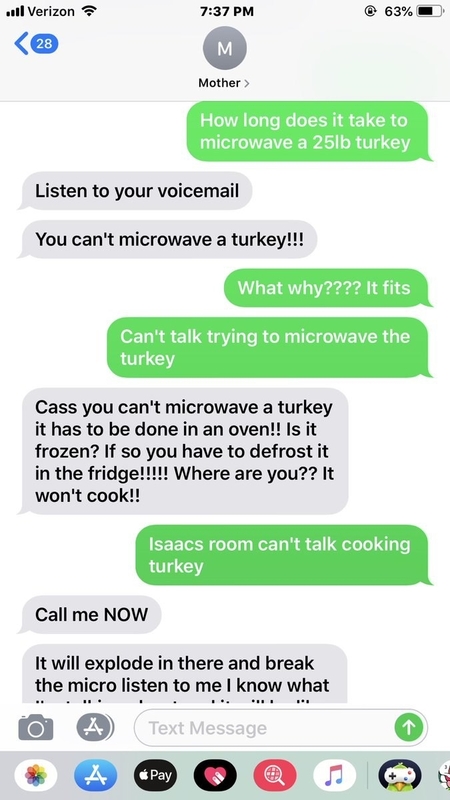 Basically, people are texting their moms — seemingly in earnest — asking how long it takes to cook a 25-pound turkey IN THE MICROWAVE!!! 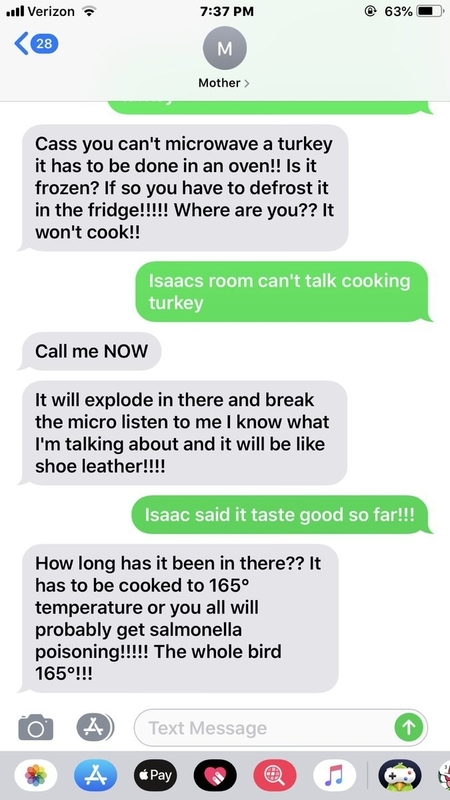 And of course moms responded in the best way possible. 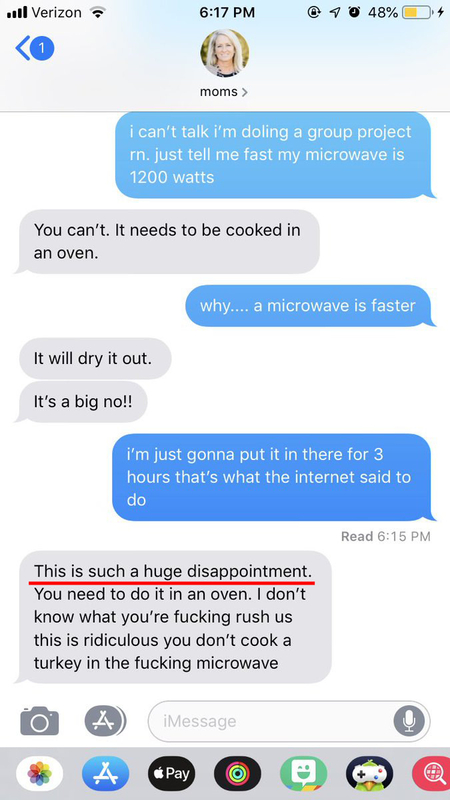 This mom wasn't mad — SHE WAS DISAPPOINTED!!! "It's about the gathering, not what you serve." I'M CRYING!!! "U should be in charge of napkins or wine or something."